I tweeted about this recently, but want to dedicate a post to this product as it deserves all the exposure it’s getting. 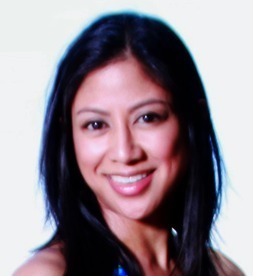 I heard about LuminAID through my grad school because one of the co-founders, Andrea Sreshta, is currently getting her MBA at the University of Chicago Booth School of Business. 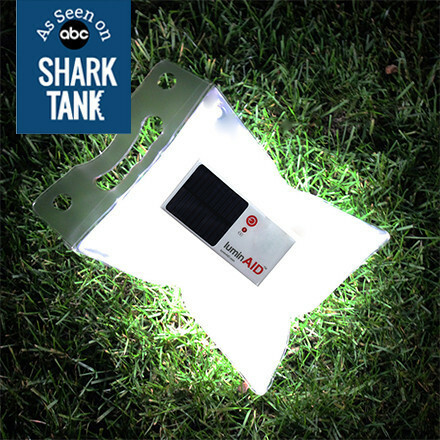 From the product website: The LuminAID Solar Light is a solar-powered, inflatable light that packs flat and inflates to create a lightweight, waterproof lantern. Safe, Sustainable and ultra-portable, the LuminAID provides up to 16 hours of LED light and can be easily recharged in the sun, ideal for recreational use outdoors or in the home as an extra light source. LuminAID has huge implications for charitable organizations and bringing light to areas devastated by natural disasters. Recently, the founders presented the product on the show Shark Tank. They are first up in the episode here. I don’t watch the show, but all five investors wanted to invest which apparently rarely happens. This product is winning awards and getting a lot of recognition. One is on its way to me as a gift for donating to my school. I’ve also bookmarked this as a great, inexpensive present. I have never heard of this product; thank you for sharing! I could see why the sharks would want to invest in this product! Amazing for any emergency situation. I love Shark Tank! I am amazed at the products that people come up with. My favorites are ones like this light that have practical and humanitarian applications.